it was nice knowing about meera madam in detail. but can i get current address where she stays. i am her big fan. is there any book publish about mam? And wich books? Can i get book names and publishers name? Every Indian woman should be proudo of Madam Meera Borwankar. She is reputed to be very straightfoward, honest and espouses the cause of justice. 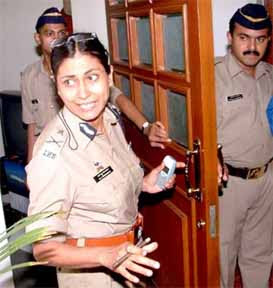 May she remain the Chief of Police in Pune for decades to come!